The Fula Jalon people are from the West African nations of Mali, Guinea, Sierra Leone, and Senegal. They are part of the much larger Fulani peoples who are among the largest and most powerful in West Africa. 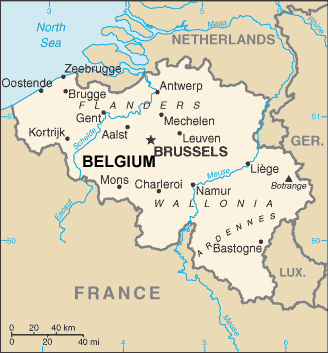 The Fula Jalon people are originally from West Africa, but a small number of them have migrated to Belgium where most live in Brussels, Antwerp, or Flanders. In deciding which immigrants to admit from developing countries, Belgium has favored those with a good education and professional skills. Though they usually live a more prosperous life than they did in West Africa, but life is not easy for them. Africans like the Fula Jalons must adjust to many changes in Belgium. Personal relationships are different. Many of them must adjust to having a spouse in a different continent, and living with a different set of social expectations. Africans assume that the group rises or falls together, but in the West they must adjust to an individualistic culture. The Fula Jalon are almost completely Muslim, faithfully believing the teachings of Islam. They believe that Allah is the only god and that Mohammed is his prophet. Most likely they also believe in the spirit world and in ancestral spirits. Efforts to evangelize these people have resulted in only a very small number of Fula Jalon believers. They are apparently very devoted to their Islamic religion and see it as a fulfillment of their needs. To win these people to Christ, further prayer is needed for God to open their hearts and eyes to the truth. * Ask the Lord of the harvest to send missionaries to share the gospel with Muslim African peoples in Europe. * Pray that God will give the small number of Fula Jalon believers boldness to share Christ with their own people. * Ask the Lord to bring forth a triumphant Fula Jalon church for the glory of His name! 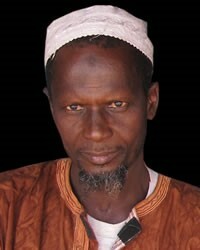 * Pray for a disciple making movement among the Fula Jalon people in Europe. http://www.statcan.gc.ca/pub/89-621-x/89-621-x2007010-eng.htmView Fula Jalon in all countries.